Rudy reminds us that he regularly updates our Facebook page – keep him in the loop, and he will be back involved in the Auction – and he’s ready to accept donations! 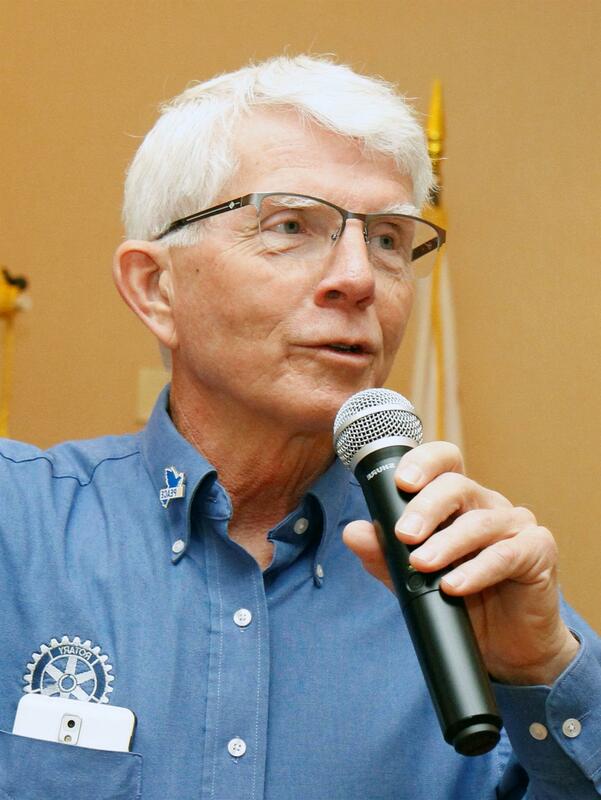 Rudy gave us a bit of background regarding his year as District Governor, and his signature “Peace Conference” program. The Peace Conference was a great success – so much so, that Rudy is putting another one together for 2020. There is a lot to do, and Rudy had a number of stories of people who were helped, and about areas that still need help. His great emphasis is on Human Trafficking. There is a hotline – 888-373-7888 – that is there to help, but there is so much to do. Often kids as early as pre-teen are the ones who are the most hurt. It is estimated that there are around 27,000,000 victims world-wide, and we must change this. Rudy is convinced that Rotary is in the perfect position to help – and if he has his way, we will. Rudy is incredibly dedicated to his cause – Change will come!